Virgin Atlantic Airways (VAA) has been working with a digital agency to modernise their web presence. This has involved the systematic update of key journeys on their website to reflect their new visual language. As this process went on VAA decided they wanted a third party perspective on the project. So they engaged City Interaction Lab to conduct user testing on the proposed designs to provide a fresh perspective and ensure the user’s feedback was heard. In order to support VAA we had to work with their design agency to understand the target audience and the processes that were being evaluated. We then had to recruit representative users and prepare test materials for the sessions. During this project we ran traditional lab based testing with real time observation. The VAA team and their design partners took advantage of our premium lab hire option so were hosted in our comfortable observation room. Within which they were able to discuss the sessions as they happened thus speeding up the time taken to make key decisions. After each session City Interaction Lab collated the insights into detailed findings reports with recommendations and presented these back at findings workshops at the VAA headquarters outside London. As a third party City Interaction Lab were able to challenge known constraints that were impacting the design with evidence from the sessions in order to make the case for more radical changes. 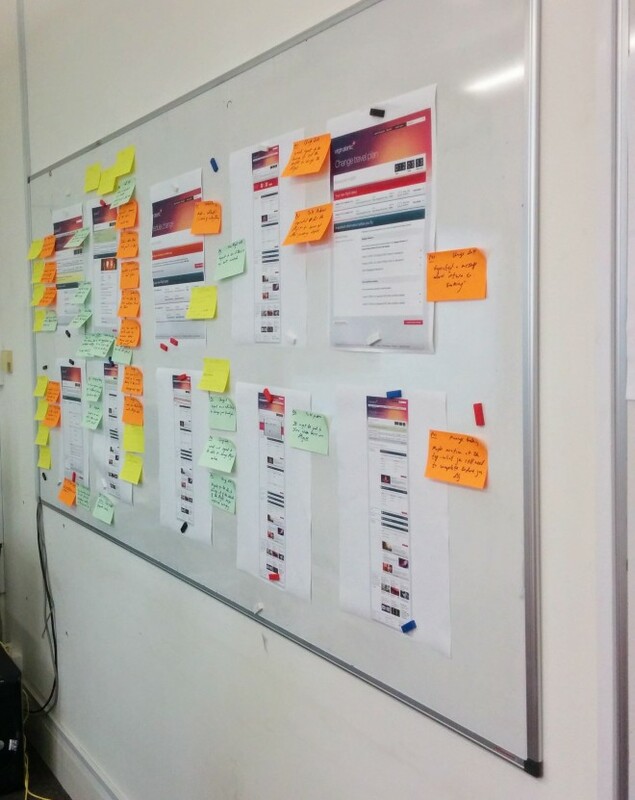 More recently we have begun running shorter snapshot user testing sessions where feedback was via a same day findings workshop with key stakeholders.